Master Resell Rights Included! 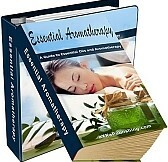 Learn about the healing art of Aromatherapy and its many uses. Aromatherapy – a word often associated with calm, sweet smelling and relaxing surroundings.